CRDG evaluators are documenting the process of school improvement for six schools funded under the School Improvement Grants (SIG) program, which is part of the American Recovery and Reinvestment Act (ARRA) of 2009. All six Hawai‘i Department of Education schools that received ARRA SIG funds selected the School Transformation Model to completely reorganize the school. The evaluation team reviewed program and school documents, interviewed state-level project leaders, and tracked progress through a variety of measures. As part of the evaluation, the evaluators compared teacher and student variables between project schools and similar schools by matching project schools with a set of schools based on selected school community characteristics. The 21st Century Community Learning Centers (CCLC) program seeks to address the needs of the most at-risk students through tutoring, homework help, and academic enrichment activities to help them succeed in school. The program provides grants to school communities where the need is the highest for the purpose of establishing centers for students to obtain academic help, a sense of connection with school, and the chance for personal success in school. Subgrantees are organizations that receive 21st CCLC grant funds and are responsible for providing services to fulfill the purposes of the grant. CRDG’s team of evaluators began working with 21st CCLC subgrantees in School Year 2002–03. Since then, they have been evaluators for ten subgrantees with sixty-nine public school centers located on O‘ahu, Kaua‘i, and Maui. 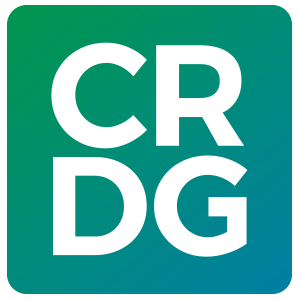 Currently, CRDG’s team of evaluators are documenting and evaluating the program at three subgrantees—two on O‘ahu and one on Kaua‘i.